At United Smiles, we are always pleased to accept new patients of all ages. Our goal is to be your South Morang dentist of choice, providing across the board general dental treatments, cosmetic treatments and specialised procedures. Our dental team is comprised of friendly and passionate professionals who are focused on the comfort and the best treatment solution of every patient. Our dental practice is equipped with the state-of-the-art dental technology, providing the most advanced, exceptional dental care to our patients in a relaxed and professional atmosphere. 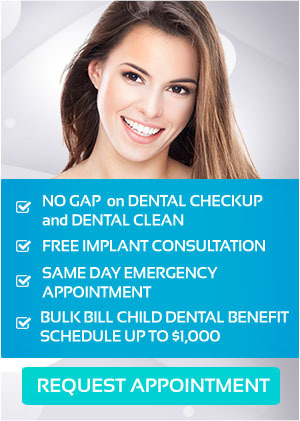 If you are looking for a reliable and trusted South Morang dentist, you have come to the right place. At United Smiles, your health and satisfaction are our highest priority. At United Smiles, we offer the most advanced solutions for misalignment issues. Straighter and perfectly aligned teeth are healthier teeth. On the other hand, if you have an incorrect bite, this can lead to various dental issues. Orthodontics is designed to address misalignment issues, and treatments can range from traditional braces to discreet aligners. Consult your South Morang Dentist at United Smiles today! Whether you are a new dental patient or an old friend, your South Morang dentist and his team promises to make your dental visit efficient and pleasant. Make a major step for your oral health today and discover the amazing benefits of healthier teeth and dazzling smile. United Smiles is a modern, established dental practice serving patients from South Morang, Wallan, Whittlesea, Beveridge, Mernda and Doreen, and surrounding areas since 2013.